Ukrainian Carpathian Mountains - the land of blue mountains covered with thick forests, swift mountain streams and waterfalls, heady fresh air, healing mineral waters. The inhabitants of the Carpathian Mountains are called Hutsuls with centuries-old unique culture, here the valuable architectural monuments are hidden, such as: the stone fortresses, ancient castles, the masterpieces of wooden architecture. Hutsuls graze their sheep at the Carpathian Valleys during the summer, and in the autumn, at the end of the grazing season they arrange a cheese festival "Hutsul white cheese", dedicated to making cheese from sheep's milk. 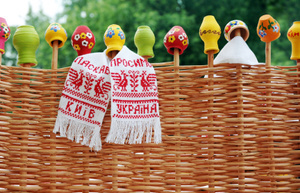 This festival has already become a hallmark of the Carpathian region and has absorbed the best traditions of Hutsuls. 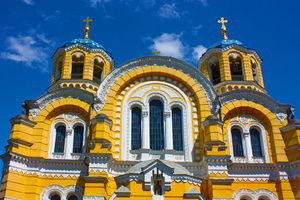 As a part of the tour guests will visit picturesque mountain villages and unusual museums and see the unique products of craftsmen, taste the traditional dishes of Hutsul cuisine, hear fascinating Husul’s melodies and will for sure visit one of the most beautiful cities in Europe and the cultural capital of Ukraine - Lviv. 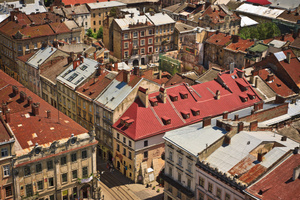 Walking city tour makes every visitor of Lviv acquainted with the historical center of the city. Market square – the heart of ancient city, City Hall, Opera House – one of the most beautiful opera houses in Europe, old Drugstore Museum where one can purchase unique “iron wine”, Boim Chapel, royalItalian court yard. In the narrow medieval streets one can admire the ensemble of the Assumption Cathedral – architectural masterpiece of renaissance, baroque ensemble of Saint Peter and Paul's Cathedral by Jesuit Order and Dominican Church with wonderful organ, the Latin Cathedral with elements of Gothic architecture, the Roman Catholic Church and Bernardine Monastery, the old Armenian Cathedral and many other sights. Departure to Yaremcha through Rogatyn, Galych and Ivano-Frankivsk. 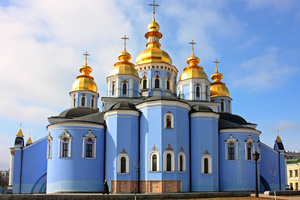 Galich - the ancient capital of the Galicia-Volyn Principality (XII-XIV), the successor of the Ukrainian lands after the collapse of the powerful Kievan Rus. 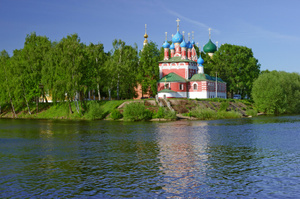 The following monuments preserved after royal Galych: the Uspenskyj Cathedral in Krylos village, the church of St. Panteleimon in Shevchenko’s village, the remains of fortifications and foundations of 10 ancient churches. Rogatyn – the homeland of Nastya Lisovskaya, known in history as Roksolana, the girl who was sold to harem during the Tatar attack, and soon became the favorite wife of the Turkish Sultan Suleiman The Magnificent. 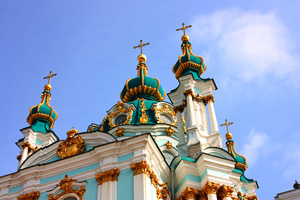 Here you will also find the museum-monument to the wooden architecture and painting of XVI-XVIII centuries – The Church of the Holy Spirit (1598). Transfer to Yaremcha - the most famous tourist center of the Carpathian region. Here the guests will seePrybij waterfall and a Prut mountain river, visit the market-fair of Hutsul handicrafts. Check in to the hotel. A marvelous bath-house and tasty Hutsul cuisine will be prepared for a tired guest in the evening. A day trip to the Carpathian mountainhighlands introduces the pearls of the Carpathian region: in the village of Vorokhta the guests will see the largest in the Carpathians stone arch bridge (1894-1895), in Verkhovyna they will visit the Museum of Folk Musical Instruments of Roman Kumlyk, private collector. Certainly worth seeing is Carpathian villageKryvorivnya which picturesquely spreads over the river Black Cheremosh. Here one will see Wooden Church of the Nativity of the Virgin (1818) with interesting paintings of XIX century, Museum "Hutsul Grazhda" - the traditional Hutsul house, as well as the Literary-memorial museum named after Ivan Franko, a prominent Ukrainian writer and public figure. It is in Kryvorivne the famous film director Sergei Paradjanov made his masterpiece, "Shadows of Forgotten Ancestors" based on the homonymous novel of the distinctive Ukrainian writer Michailo Kotsubynskyj. Last stop - the town of Kosiv, indeed the center of Hutsul region, unique beautiful corner of the Carpathians. The only in Europe Institute of Arts and Crafts with century-old history is situated here. Guests will visit unique working rooms where handicraft workers manufacture wooden objects, ceramics, leather goods and fabrics. Arrival to Kolomyia town and hotel accommodation. Sightseeing tour in Kolomyia acquaints the guest with history of the ancient town of and its unique museums - the only one "Easter Egg Museum" in the world with a collection of 12.000 painted Easter eggs from different regions of Ukraine and the world; another unique museum is the Museum of Hutsul and Pokuttia Folk Art – this museum is listed in the Royal Encyclopedia of Great Britain as a museum of the world masterpieces. The tour ends with a lunch in a traditional Hutsul restaurant - "kolyba" during which the musicians will perform folk songs and play on folk instruments. 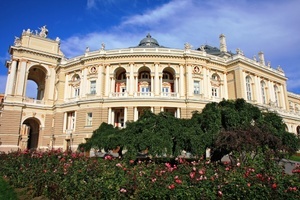 After the lunch a transfer to Lviv and a walking tour in the evening city as a pleasant end of the day.